Once again Sunday the Eagles came out with thoughts of playing well and ending their losing streak, and just like in weeks past, they were well short of their goal of winning. Now the big question for all involved – will Andy Reid make it to the end of the year after his team’s sixth consecutive loss? 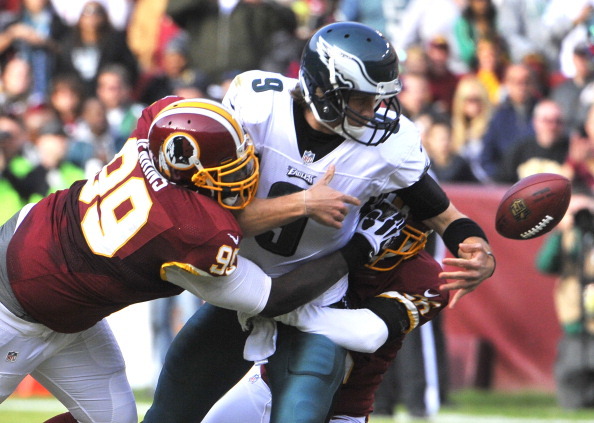 Nick Foles first drive as a starter ended with a pick, and it was a sign of things to come as the Eagles were beaten badly by Robert Griffin III and the Redskins 31-6. Click HERE to read the Rest!